Cars that sit around, broken down are a hassle for everyone! They leak and create an environmental hazard. They are an eye sore. You are supposed to carry insurance and keep the tabs and licensing current. Why deal with the bother on a vehicle you can’t rely on? Call Cash for Cars Northwest for a hassle-free junk car removal in Beaverton. When you car has been in for one too many repairs or the cost of upkeep outweighs its value, it is time to let it go. You could sell it on the street, but then you have to be available to show it and deal with calls and emails from people who may never end up buying it. We offer the best cash value for your vehicle and handle the junk car removal for free. We have an appraiser on staff to ensure you get the most for your car. We take any make, model, and style of vehicle—commercial vehicles included. All you have to do is make one call. First you pick up the phone and give us a call. We quote you a price that we will stick to. Some unscrupulous companies offer one thing on the phone and then try to lower it when they arrive. With us you get the best quote that will not change, no matter the condition of your car. Our appraiser will never pressure you. In fact, we encourage you to call around. We’re that confident about our prices and stellar customer satisfaction ratings. Next, we come to you. We generally get there within about an hour of your call, so there is no inconvenient waiting around for someone to show up. We tow your car for you with zero extra charge! Our friendly professional will pay you the amount of cash we quoted over the phone, then hook up your car to a tow truck and take it away. What about the paperwork? We take care of that too! We have you sign some quick and easy paperwork and then take care of the rest for you. We process the title transfer with the DMV for you. Then you are done! You have cash in your hand, your junk car removal is complete, and there is no other mess or fuss to deal with! 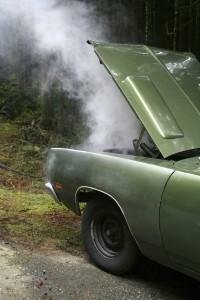 Why let a junk car sit or pay for yet another costly repair? It’s not worth the hassle! We make the process simple, easy, and—best of all— free! 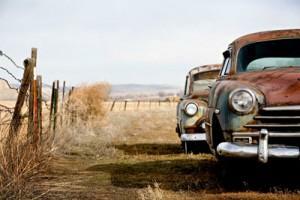 We have offered junk car removal in Beaverton and surrounding areas for more than a decade. In that time we have built a name as a trusted cash for cars company through fair pricing and dedication to customer service. So don’t hesitate any longer. Get cash for your junk car removal and invest in whatever you like with your money. Contact us today for your junk car removal in Beaverton and surrounding areas. We are proud to serve Beaverton, Oregon. With green spaces and industry galore, Beaverton is the place to be.